Successful Marketing 101: Business owners: Which do you use for your Twitter account profile pic? 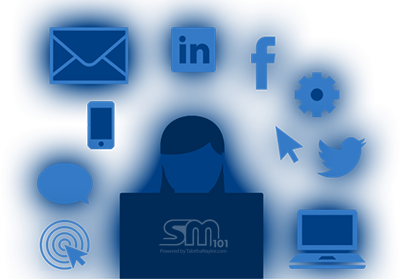 Successful Marketing 101: What's Facebook, Twitter, Social Media Buzz worth for your business ? Can all the Buzz you created on Facebook, Twitter and other social media, reliably increase profits for your business for the next decade?